A Cochlear Implant is an implanted electronic hearing device, designed to produce useful hearing sensations to a person with severe to profound nerve deafness by electrically stimulating nerves inside the inner ear. 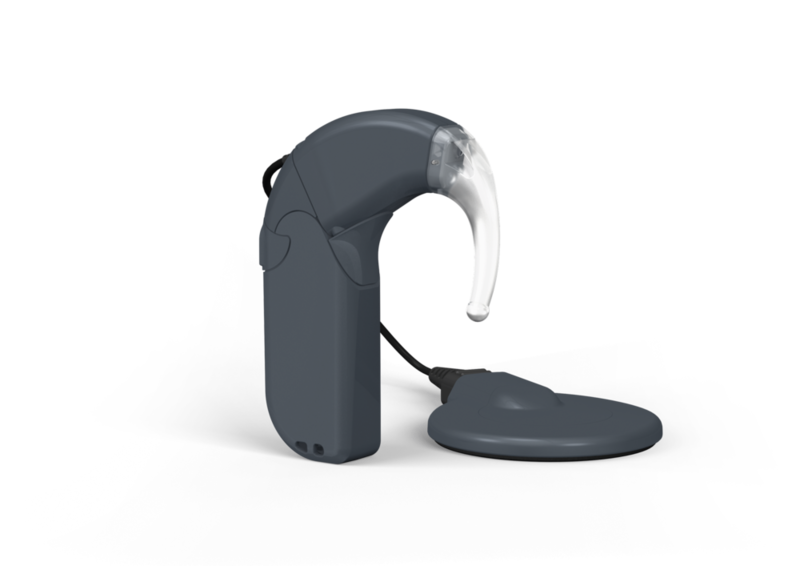 The Cochlear Implant somewhat simulates natural hearing, where sound creates an electrical current that stimulates the auditory nerve. However, the result is not the same as normal hearing. 1) The externally worn speech processor. This is positioned right behind the ear and uses microphones to pick up speech and environmental sounds. A magnet holds the external system in place next to the implanted internal system. 2) The internally implanted tiny receiver and electrode system. The processor captures sound signals and transmits them to a receiver implanted under the skin behind the ear.